Businesses who require additional vehicles for new starters, special projects, short-term contract staff or to provide cover for a vehicle off the road could benefit from a new daily rental offer from fleet management specialist, CLM. 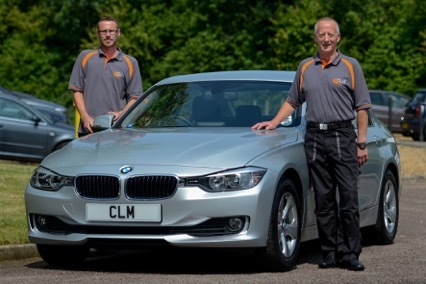 Newport Pagnell-based CLM, which is part of the Maxxia Group and has its own specialist daily rental operation aimed solely at business customers, is offering seven days’ car hire for the price of just five – a discount of almost 30%. 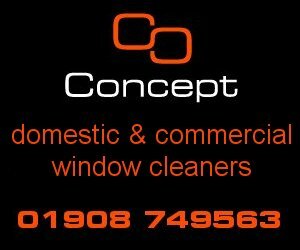 The offer is open to any business operating in the East Midlands region from Milton Keynes to Northampton and includes free vehicle delivery and collection within a five mile radius of its office, while bookings can be made online from an-easy-to-use, web-based booking system. This state-of the art system allows rental bookings to be made in seconds, and also allows businesses to extend and cancel vehicle rentals, monitor existing rentals and access a comprehensive range of management reporting and invoicing. At the same time, there is a huge pool of available vehicles to draw from, including some 400 on CLM’s own rental fleet. This is supplemented with comprehensive national coverage through a network of trusted car rental suppliers, including established companies such as Avis, Hertz and National, and gives access to over 1,500 outlets and 150,000 vehicles across the UK. CLM rental sales manager, Paul Nagra, said: “Businesses often have short-term vehicle needs for a variety of different reasons. Amongst the most common we come across are when new starters join the company or when special, short-term projects require additional staffing and mobility levels. “Additionally, for older, higher mileage vehicles which are becoming expensive to run, it may be more economical to dispose of that vehicle and use a rental to fill in any gap whilst awaiting a permanent replacement. “Daily rental offers a flexible, easy to use business solution for such times, and we are now able to make this exclusive offer to local businesses to allow them to appreciate the ease-of-use of our system and the flexibility that daily rental can provide. 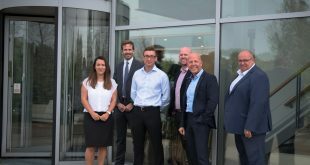 “With access to a huge vehicle pool, we have helped many different companies from a variety of industries to meet their need for short term hire vehicles, cost effectively and efficiently,” he said. All CLM rental cars provide peace of mind as they are covered with a 24-hour breakdown and recovery service and offer total freedom of movement with up to 2,000 free miles in any 28-day service. For businesses that have a rather longer need for temporary vehicles, CLM also offers its unique mini-lease offering which provides corporate customers with vehicle rental for three, six or 12 month periods. Mini-leases are substantially shorter than a conventional company car lease and are supplied without any form of penalty for altering the length of the period regardless of the reason, and provide the perfect answer to a company’s interim mobility needs. They also offer significant reductions against standard daily hire with no reduction in quality or service standards. “Traditionally, daily rental firms have provided tariffs that peak at 28 days for longer term rentals and, historically, that may have been sufficient. But today there are much wider business requirements in terms of meeting corporate mobility needs that combine cost efficiency with flexibility. Mini-leases are the ideal solution,” added Paul Nagra.